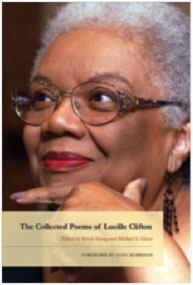 Lucille Clifton, the former Poet Laureate of Maryland, was a friend to HoCoPoLitSo for many years. Lucille served as an artistic advisor to HoCoPoLitSo and helped the organization make connections with poets and create meaningful programming. Since her passing in 2010, HoCoPoLitSo started a fall event called The Lucille Clifton Poetry Series, a free event open to the public, but donations to support the event and HoCoPoLitSo are enthusiastically accepted.